American football dates back to the mid 19th century when colleges began playing games using modified rules from soccer and rugby. As football grew in popularity, many companies sponsored professional teams. 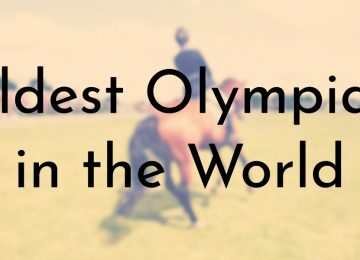 This laid the foundation for the American Professional Football Association (APFA), which was started in 1920 as the direct forerunner of the National Football League (NFL). The APFA started off with 10 teams, which had already existed in some form as regional teams. 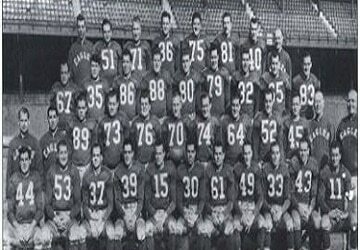 Today, only two teams from this initial line up are still around, the Arizona Cardinals (formerly the Chicago Cardinals) and the Chicago Bears (initially the Decatur Staleys). For the 1922 season, the APFA changed its name to the NFL and the other teams on this list joined in subsequent years. All of these teams played an important part in establishing the rules and customs of today’s NFL. 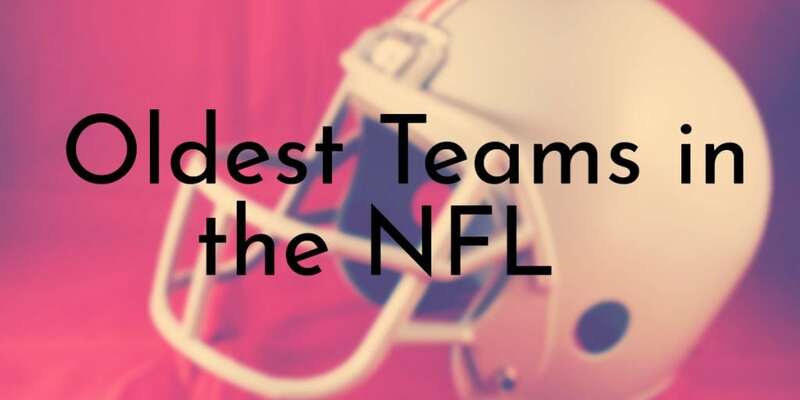 For this list, we chose to arrange the teams by the date that they entered the NFL and not when they were originally formed. The Cleveland Browns were formed in 1944 by local businessman Arthur B. McBride after he acquired a franchise in the new All-America Football Conference (AAFC) that would start playing games in 1946. The first thing that McBride did was hire Paul Brown, who was a successful high school, college, and military coach. Brown was appointed as the team’s coach and general manager and also named the team as well. The Browns dominated the AAFC until it was shuttered in 1949 and the team joined the NFL the following year, along with two other AAFC teams, the San Francisco 49ers and the original Baltimore Colts (not the same franchise as the later Baltimore Colts, which are now the Indianapolis Colts). 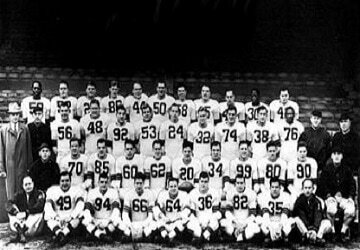 After moving to the NFL, the Browns continued their dominance and went on to win the NFL Eastern Conference championship for six straight years from 1950 to 1955 and NFL titles in 1950, 1954 and 1955. 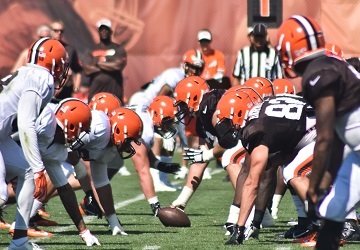 Although the Cleveland Browns were a strong team in the beginning, the team has not done well at all in the past few decades – the team even had to suspend operations for a few years between 1996 – 1998. The Cleveland Browns suspended operations after Browns fans and Cleveland city officials blocked then owner Arthur Modell from moving the team to Baltimore. The Los Angeles Rams returned to Los Angeles – the team moved from the city after the 1994 season – after spending 20 years in St. Louis. While the team is closely associated with these two cities, the Rams franchise was actually born in Cleveland in 1936 and joined the NFL the following year. 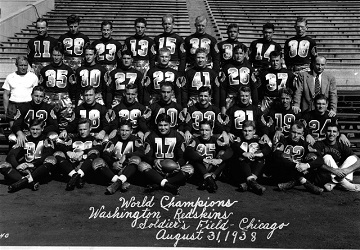 For the first six years of the franchise’s history, the Rams were a terrible team and were disbanded for a year (1943 season) following a shortage of manpower due to World War II. The Rams played their last game, a championship which they won, in Cleveland in 1945 and were moved to Los Angeles for the next season. After moving to L.A., new owner Dan Reeves signed Kenny Washington and Woody Strode, the first two African-American athletes with an NFL contract since 1932. Reeves was also the first owner in the NFL to hire a full-time scouting staff. 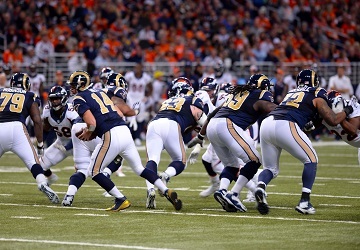 The Los Angeles Rams won their first and only Super Bowl so far in 1991 as the St. Louis Rams and the team have another shot at the big game in the upcoming 2019 Super Bowl LIII. The Philadelphia Eagles have been part of Philadelphia sports history since 1933 when a syndicate headed by the late Bert Bell and Lud Wray purchased the former Frankford Yellowjackets franchise for $2,500. 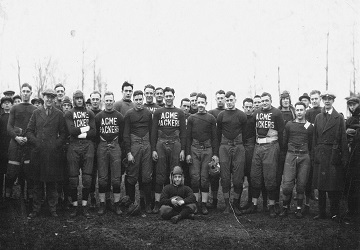 Although the Yellowjackets had won the NFL championship in 1926, the franchise went broke midway through the 1931 season and immediately stopped playing. 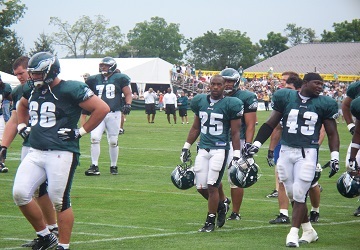 Bell and Wray revived the franchise and named it the Philadelphia Eagles. In 1943, the Philadelphia Eagles and the Pittsburgh Steelers were combined for one season because of the lack of men left at home during World War II. During the first decade, the Philadelphia Eagles were an okay team before finding success in the mid-1940s. Since then, the Philadelphia Eagles have had many highs and lows, including winning their first Super Bowl in 2017. The Philadelphia Eagles appeared in their first Super Bowl in 1981, but lost to the Oakland Raiders. 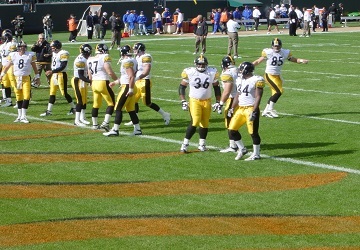 The Pittsburgh Steelers were founded in 1933 by Arthur J. Rooney and the team remains under ownership of the Rooney family today. 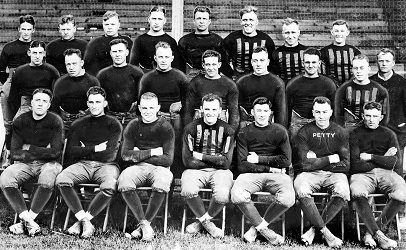 While the team has always been in Pittsburgh, it was not always called the Steelers and was initially the Pittsburgh Pirates (like the baseball team). For the first 40 years of the franchise’s history, the Steelers were an unremarkable team and never won a championship of any kind. Then in the 1970s, the Steelers hit their stride and had one of the greatest winning streaks in NFL history. During the 1970s, the Pittsburgh Steelers earned eight consecutive playoff berths, seven AFC Central titles and four AFC championships. The Steelers went on to become the first team in the NFL to win four Super Bowls and is the only team to win the Super Bowl twice in a row. The Pittsburgh Steelers have won more Super Bowl titles (6) and both played in (16) and hosted more conference championship games (11) than any other team in the NFL. The Washington Redskins were established as the Boston Braves in 1932 when George Preston Marshall was awarded the inactive Boston NFL franchise. Marshall named the team Braves after the name of the field the team used, Braves Field, which was the home of the National League baseball team. The team was moved to Fenway Park in 1933 and the its name was changed to the Redskins. Marshall was often unhappy with the lack of fan support for the Redskins in Boston and ended up moving the team to Washington, D.C. in 1937, where the Redskins remain to this day. That same year, Marshall created a fight song and official marching band for the Redskins, the first to do so in the NFL. 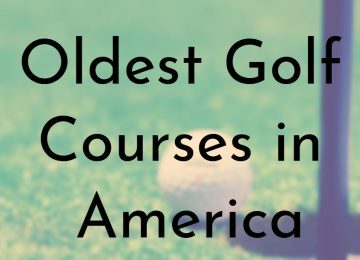 The Redskins have won a few Super Bowls and NFL Championships, but have not won a major championship since the early 1990s. 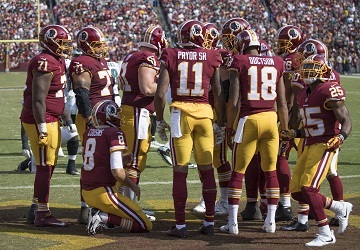 The Washington Redskins have soldout their home games since 1968, the longest consecutive sellout streak in NFL history. Detroit Lions were formed in 1934 when Detroit radio executive George A. Richards purchased the Portsmouth, Ohio, Spartans for $8,000, which was an unheard of amount of money at the time. 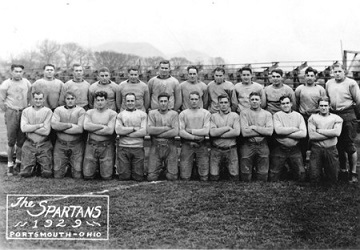 The Spartans were initially formed in 1929 and had joined the NFL the following year. Two years later, the Spartans played in one of the most important games in NFL history, a championship game against the Chicago Bears. After that game came three major rule changes and the NFL was separated into two divisions and a championship game was played annually. Prior to the purchase of the Spartans, there had been several attempts to establish a professional team in Detroit. Unlike those previous teams, the newly formed Lions, had some of the best players of the time and was led by Dutch Clark, an early football superstar and the NFL’s last dropkicker. The Detroit Lions had their best seasons in the 1950s and have been trying to recapture that greatness ever since. 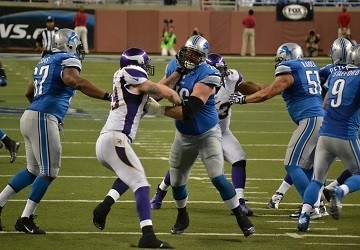 The Detroit Lions have never won a Super Bowl and last won a championship game in 1957. The New York Giants are one of the few NFL teams that has remained in the same city since it was founded. The Giants team was founded in 1925 by Tim Mara, who purchased an NFL franchise in New York for $500. By the end of that first season, Mara had invested another $25,000 just to keep the team alive and ensure that New York would continue to have professional team. 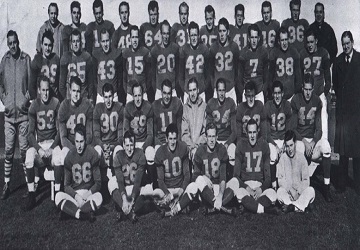 From the start, the New York Giants were a popular team and more than 70,000 people had come out to watch the team play during its first season. 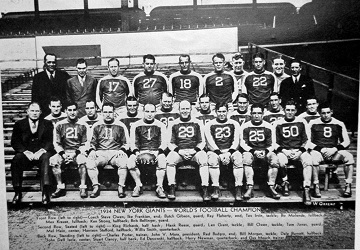 The Giants were also a strong and skilled team from the beginning and won their first NFL Championship in 1927, their third season. Members of the Mara family still own the New York Giants today, along with Tisch family, who purchased 50 percent of the team in 1991. 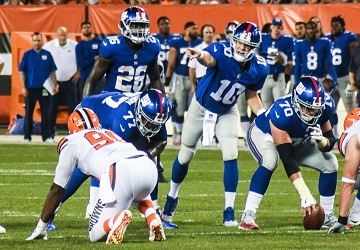 The New York Giants have won four Super Bowls (1986, 1990, 2007, and 2011) as well as four NFL Championships (1927, 1934, 1938, and 1956). 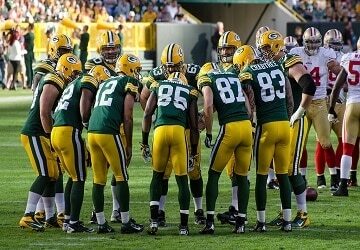 While the Green Bay Packers did not join the NFL until its second year, the team does have the distinction of being the oldest continuous franchise that has never moved or changed its name. From its inception in 1919, the Packers, who were sponsored by the Indian Packing Company, have been based out of Green Bay, Wisconsin. 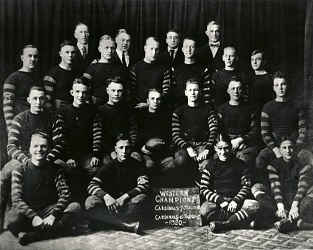 The Green Bay Packers were founded by Earl Curly Lambeau and George Whitney Calhoun. Lambeau was a former football player and became the Packers’ first coach. The Green Bay Packers’ home field is named in honor of Lambeau. In addition to Lambeau, coach Vince Lombardi is the other dominant figure in the Packers’ history. 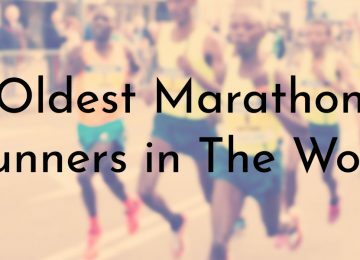 Between the two coaches, the Green Bay Packers won 11 NFL Championships (pre-Super Bowl). The Green Bay Packers are the only remaining small town NFL team and also the only community-owned non-profit organization in the NFL. Besides the Arizona Cardinals, the Chicago Bears are the only current franchise that has been around since the first year of the NFL in 1920. The Bears started out in Decatur, Illinois as the Staleys and were moved to Chicago the following year. 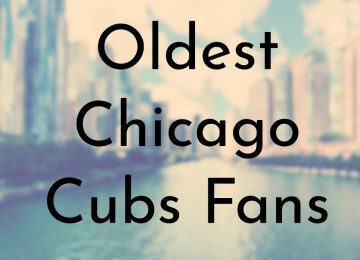 The team changed its name to the Chicago Bears in 1922 and has never moved cities or changed its name since then. The Bears were initially sponsored by the Staley Starch Company, who decided to give team to legendary coach George Halas, for $5,000. The Staley Starch Company also allowed Halas to move the team to Chicago if he promised to keep the Staleys name for one more year. 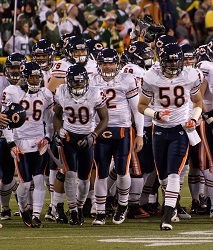 From the start, the Chicago Bears have been one of the most popular and successful franchises in the NFL. Today, the Chicago Bears are still owned by members of the Halas family. 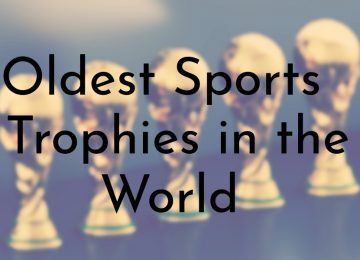 The Chicago Bears have only won the Super Bowl once (1985), but won several NFL championships before the Super Bowl first started in 1967 – the Bears won the NFL championship in 1921, 1932, 1933, 1940, 1941, 1943, 1946, and 1963. The Bidwill family, which still owns the Cardinals today, first acquired the team in 1932. Under Charles W. Bidwill’s ownership, the Cardinals remained in operation during the Great Depression and World War II. 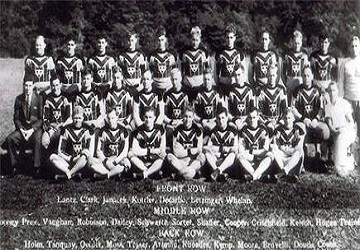 After the end of the war, Bidwill had finally put together a winning team that went on to snag the Super Bowl title in 1947. 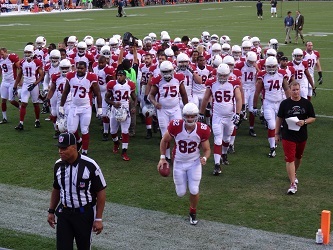 Since joining the NFL in 1920, the Cardinals have called three different cities home, Chicago, St. Louis, and Phoenix. The Cardinals had to challenge a team named the Tigers for territorial rights in Chicago when the NFL was first established. The Cardinals won in a 6 – 0 victory and the Tigers were forced to leave the city.